A recent study conducted by a security website looked at federal crash data and concluded that Houston is the most dangerous city in the country to drive in over Thanksgiving weekend. 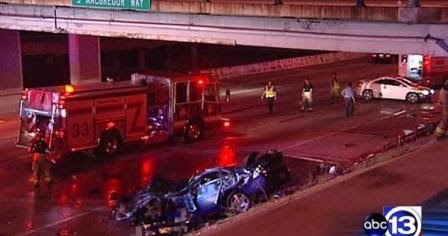 The study found that Houston had the highest rate of highway fatalities over the holiday weekend. The study evaluated data from the National Highway Traffic Safety Administration’s Fatality Analysis Reporting System, which looked at data from the same time period, to determine areas with the highest rates of fatal crashes, as well as the major causes of fatal accidents and the types of vehicles involved. Also, Texas had the highest number of traffic deaths over the same weekend. Between 2014 and 2016, about 3,500 deaths were reported over Thanksgiving weekend in Texas – which is more than 10 percent of the total fatalities across the country. The other dangerous cities that made the top five were Los Angeles, Orlando, Chicago, and Greensboro, North Carolina. In fact, the Thanksgiving holiday is the most dangerous holiday on U.S. roads. For many, the Wednesday night before Thanksgiving is a big night for bars and has become associated with drinking. AAA is forecasting that almost 51 million Americans will travel at least 50 miles from home this Thanksgiving, which is up 3.3 percent from last year. The National Highway Traffic Safety Administration is planning a social media campaign to remind Americans of the dangers of drinking and driving, and urging travelers to plan ahead by designating a driver, and using public transportation or a taxi or ride sharing service. If you are planning to travel in Houston over Thanksgiving, stay safe. If you are harmed in an automobile accident because of the wrongful actions of another driver, you should speak with an attorney. Call the Houston automobile accident attorneys at Kennedy Hodges at 855-947-0707. Our team can help. Call us today to schedule a free consultation, or visit us on Facebook to learn more.